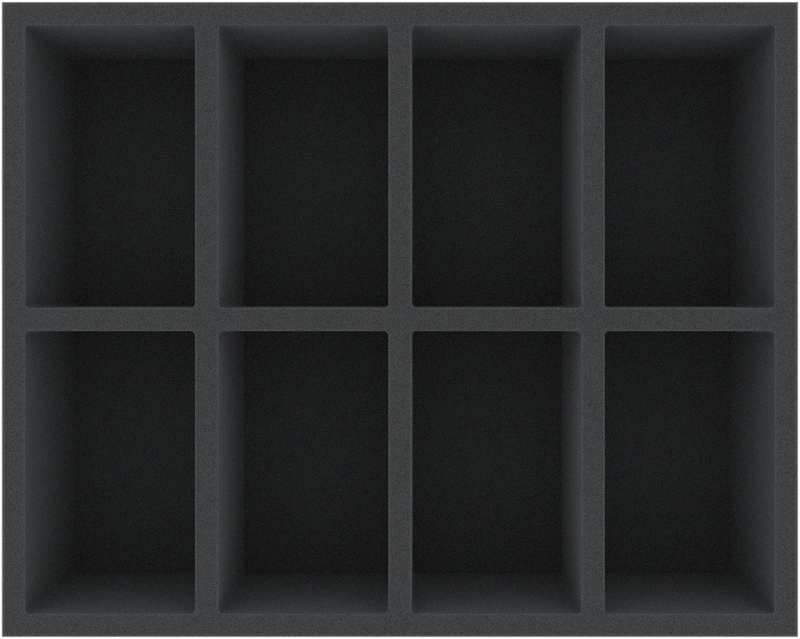 In the 8 large compartments of this Full-Size foam tray you can neatly stow the larger miniatures of your Craftworlds army and transport them to the tabletop in the best protected way. 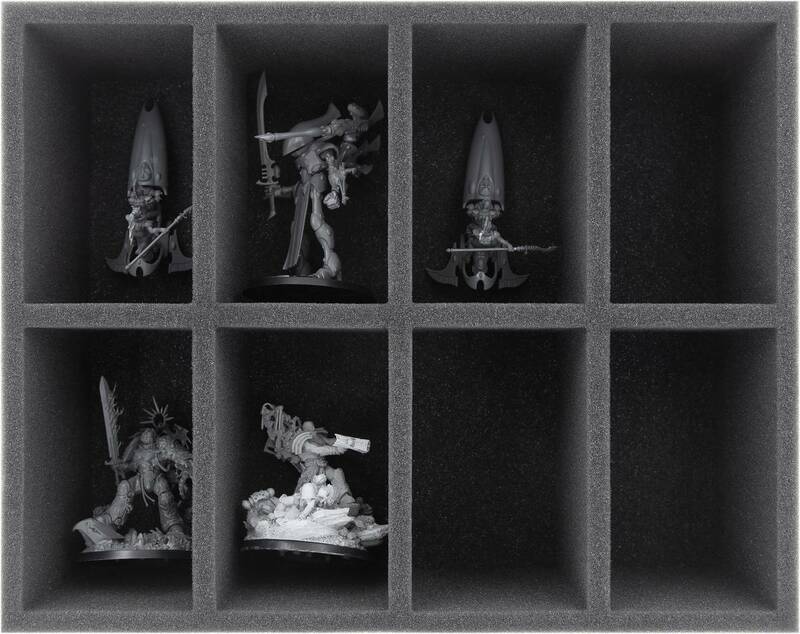 The insert is ideally suited for storing the Wraithlords and Aeldari on jetbikes like the Skyrunner or Windriders. 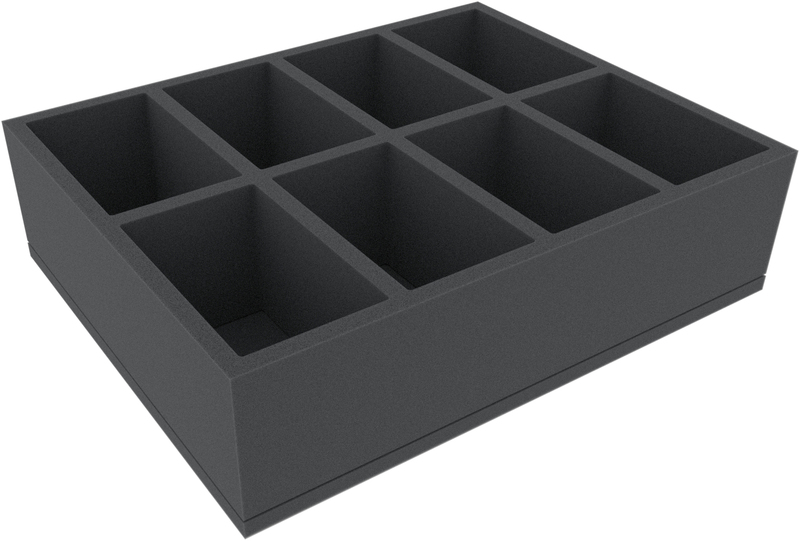 This foam tray has the dimensions: 345 mm x 275 mm x 90 mm Gesamthöhe (80 mm usable height + 10 mm foam base).